1. Cut watermelon from center and cut in small pieces watermelon or scoop out the fruit, remove seeds. 2. 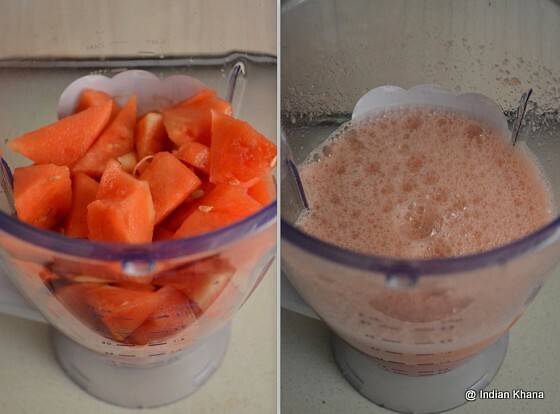 In a blender add watermelon pieces along with sugar (if using) and blend until smooth, add little water if required to blend well. Strain juice through a metal strainer and serve. 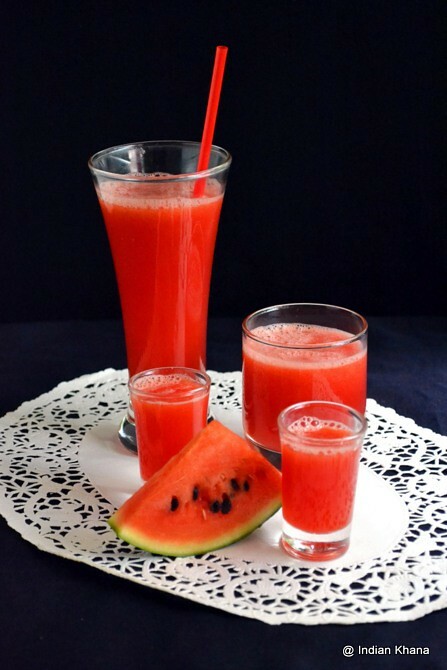 ~ Or if you have juice just add watermelon pieces, add sugar and ice cubes in juicer or in direct juice as per your wish. Chill juice or add ice cubes and serve. very refreshing juice. Nice clicks. Juice looks very yummy! Nice clicks too..
Super summer cooler, seriously ur clicks looks mindblowing. 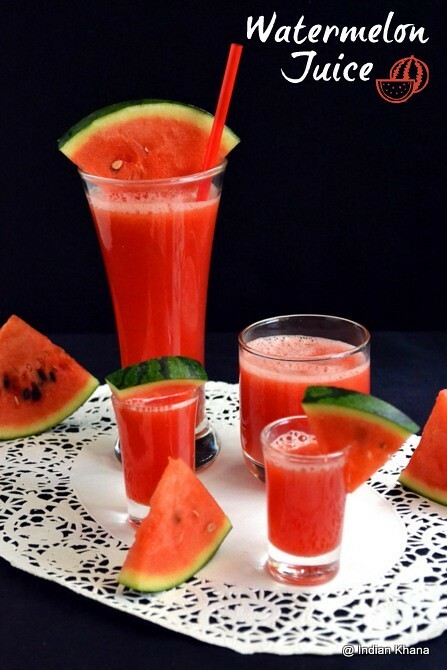 The water melon juice looks delicious. Love the photographs. 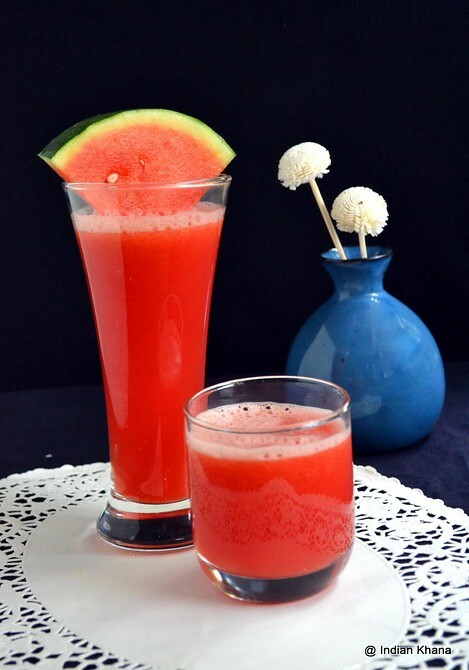 refreshing and soothing juice with lovely clicks. Simply gorgeous clicks !! 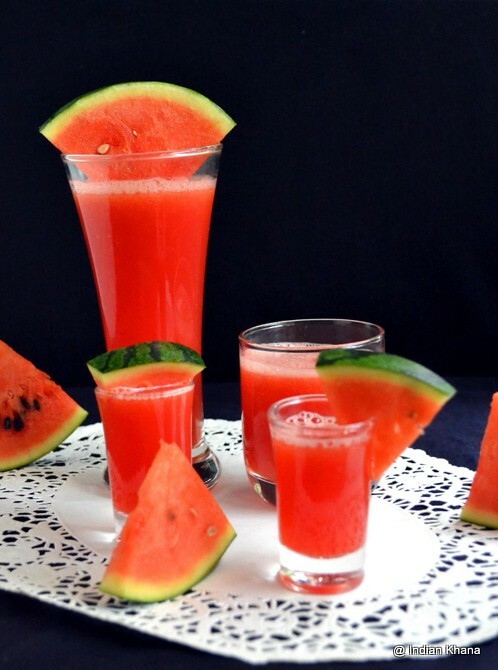 Refreshing juice to beat the heat !! What a beautiful color. Please do send it to my "Healthy Me & Healthy Us" event (read the rules).